SEATTLE — Over the past 25 years, the Dominican Republic has seen strong economic growth and a declining poverty rate. However, according to the World Bank, the economic growth rate was 4.6 percent in 2017, which was a decrease from the annual average of 7.1 between 2014 and 2016. In contrast, the poverty rate fell from 32 percent in 2015 to 30 percent in 2016. 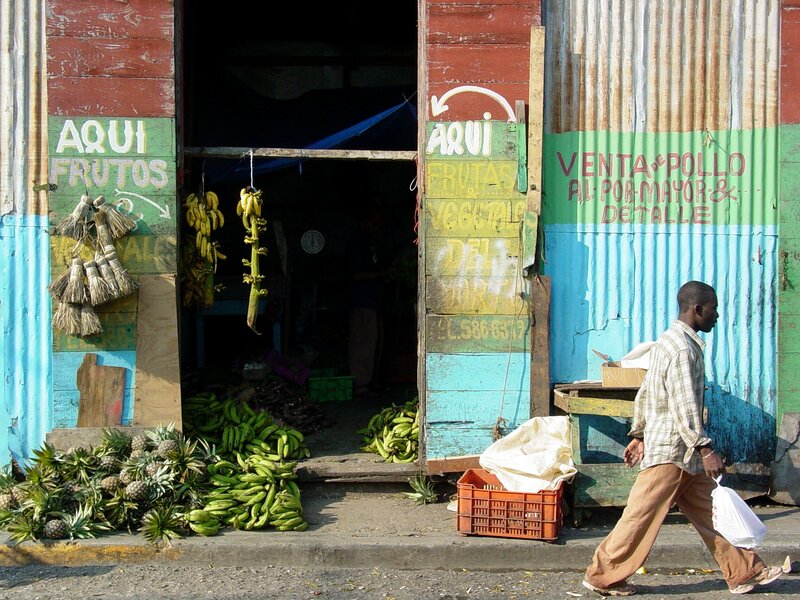 All in all, poverty in the Dominican Republic still remains an issue. The country remains vulnerable to natural disasters and many citizens are unable to lift themselves and their families out of the cycle of poverty. The Borgen Project had the opportunity to speak with Angela Higgs, the Me to We representative, English and social justice teacher at Sentinel Secondary High School in West Vancouver. Every year for the past five years, Higgs and her students have gone to the Dominican Republic to help build houses for children and their families with money they have raised, in collaboration with the organization Live Different. The Borgen Project: The poverty rate in the Dominican Republic has been declining over the years. In your opinion, is poverty in the Dominican Republic still an issue? Angela Higgs: Yes, absolutely. My team and I have been going to the Dominican Republic for five years and I’ve seen a lot of improvement. There’s more access to education, which is helping to bring a lot of people out of poverty. However, there are still so many communities that are living in poverty. These communities have no sanitation, no flush toilets, no running water and no electricity. They really can’t be thinking about school or working because they’re just trying to survive. There’s also a really high pregnancy rate among young women. In my experience, there are girls as young as 12 or 13 who are starting families. These girls see this as a positive, they don’t see it as a deterrent to their future. TBP: What do you think is the main reason for poverty in the Dominican Republic still being a problem? AH: There is definite government corruption. As I said, over the five years that my team and I have been going there, I’ve seen that the government is putting a lot more funding into education and infrastructure. However, there’s certainly deep corruption in the government and in business in terms of tourism. It’s also based on who you know. I did a lot of research choosing the organization I went with, and even with Live Different a lot of things are still based on who you know. So people are still trying to touch base with the people who make the decisions, because they know if they know somebody, they can get help. TBP: During your trips to the Dominican Republic, what actions did your team take to help people living in poverty? AH: We build homes for families that Live Different determines need help. Live Different goes to the communities and their leaders, who help determine who’s going to get a house. They look for somebody who’s holding down a steady job, going to school, contributing to the community at large or helping out other people. These people also need to have some money behind them, so they either need to own the land or have family who own the land. This is because Live Different doesn’t want to build a home for someone on somebody else’s property, because then the house just gets taken away. They also check and make sure that the person they build the home for is the person that’s going to get it. I remember a situation where a woman had seven kids and an alcoholic husband who used to beat her and the kids. The husband ended up taking off and Live Different wanted to build a home for the family, but they had to contribute the land, some money towards the paint and also help feed the workers that were hired to build the house. So the families have to have some sort of resources. On top of building the home for them, we also donate all the furnishings in the house. The homes that we build have running water, a bathroom with a flush toilet and separate rooms. We also donate money to their community fund, so in case there’s a disaster they have access to money. For example, two years ago everybody in the community had pinkeye and Live Different used the money to buy medicine for the community. TBP: In your opinion, what are some solutions to poverty in the Dominican Republic? AH: There are many, but I think that these organizations that go in, like Live Different for example, are putting pressure on the government to step up. This is because people are becoming more aware, they’re becoming better educated, and realizing their government is not providing for them as they should be. So it’s really dealing with corruption and the government. Also, education is key. The first year I went, they took us to a rural community where they basically just farmed the land and no one there was educated. So Live Different built a community center, a school and a church all in one building. There was a pastor and a couple of teachers that would knock on every door of all the houses that had children and make the children go to the school. This was probably 12 or 13 years ago, and the group went back to that community this year and saw that some of those first kids have gone and gotten their university education and come back as teachers, doctors and nurses. So every year I’ve gone, I’ve learned that education is key because when your society is educated, then you know to question why people are in poverty. Later on, you get people in power who are educated and hopefully less corrupt. There is a huge gap between the rich and the poor in the Dominican Republic. The country is home to hundreds of tourist resorts; however, one in five citizens are undernourished and around 20 percent of the population is living on less than $2 a day. Although poverty in the Dominican Republic has been improving, there are many actions citizens and organizations can take to put pressure on the government to take further action.